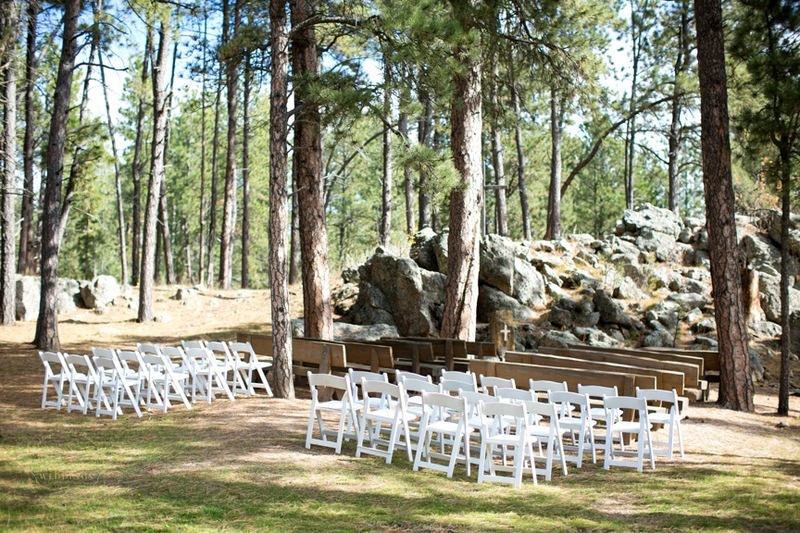 If you are looking for a serene and intimate backdrop for your wedding photos, consider Blue Bell Lodge's Outdoor Chapel. 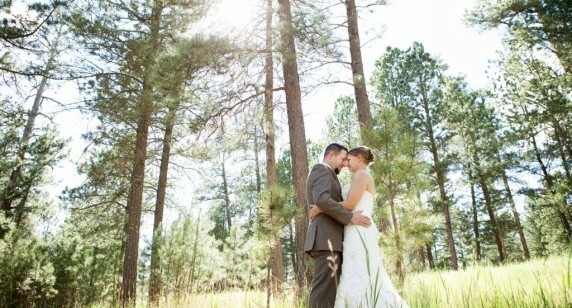 The peaceful and natural atmosphere of the chapel is complemented by ponderosa pines and rock formations. 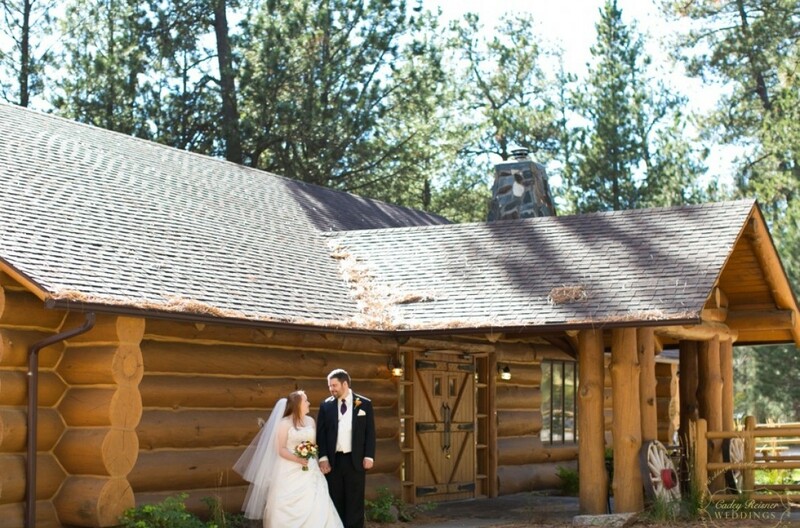 After your ceremony, make your way to the White Buffalo Room, a beautiful log-cabin banquet facility, for your reception. 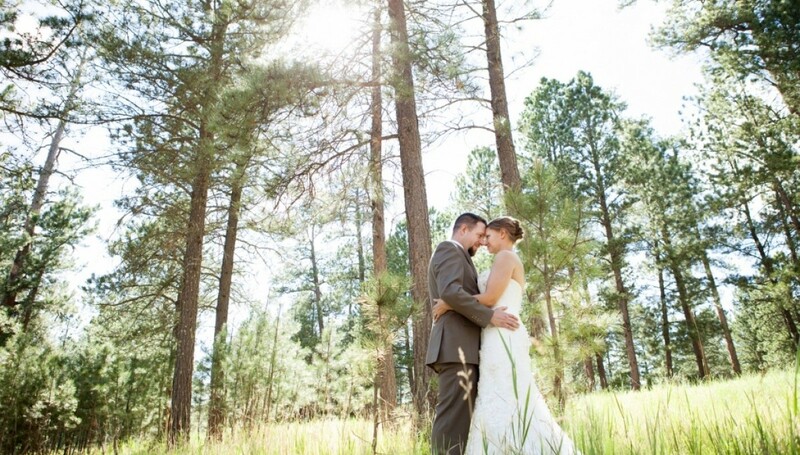 Many of our brides and grooms fall in love with the warm, inviting atmosphere of Blue Bell, which often guarantees numerous wildlife sightings. 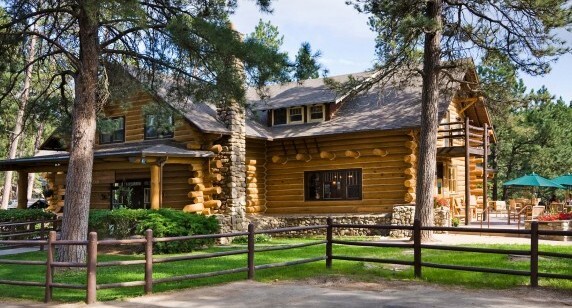 Plus, the cabins at Blue Bell are some of the park's best, and create a cozy homespun experience for your guests. Questions? 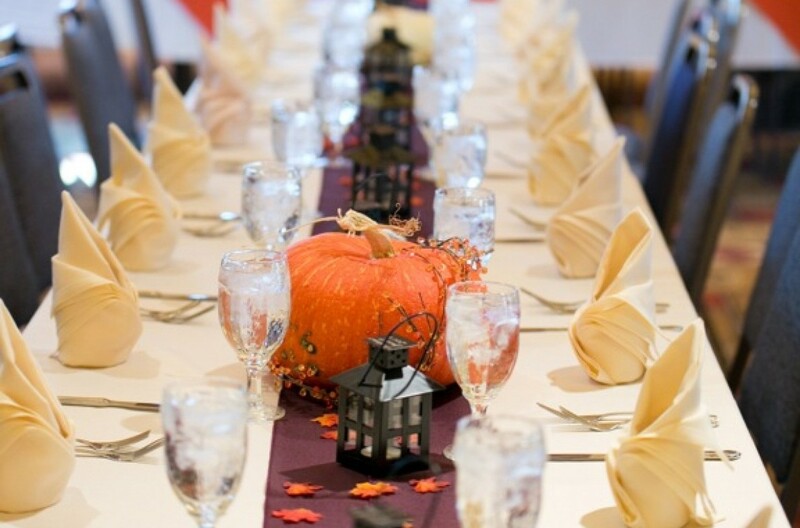 Contact Sales & Catering at 605-255-4672. 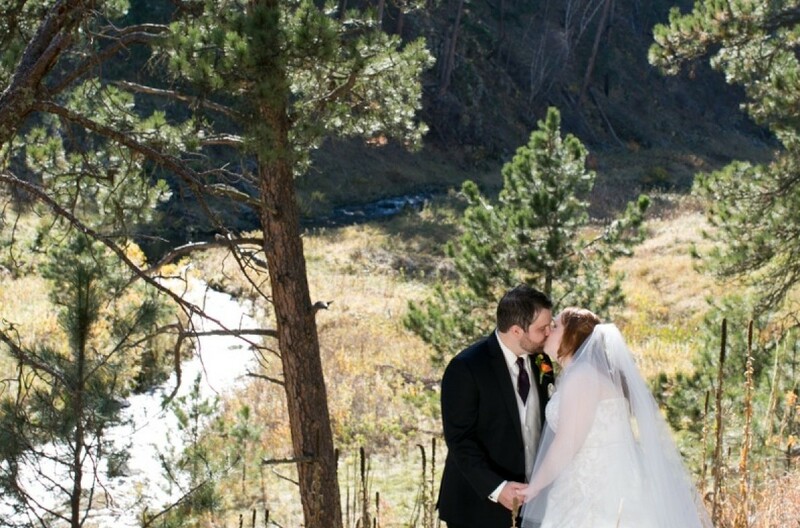 With beautiful views of French Creek and Western flair, the White Buffalo Room is perfect for an intimate and relaxed occasion. Ceremony setup at the Blue Bell Lodge. 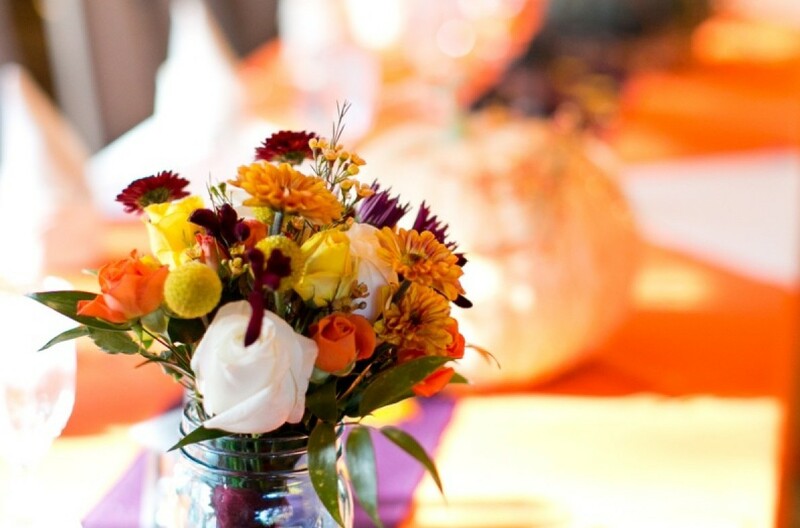 Banquet table ready for a fall wedding reception. 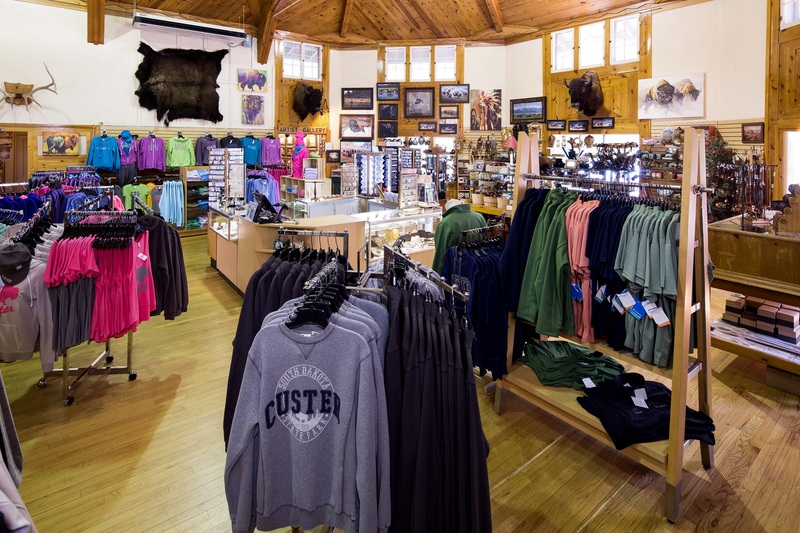 Both the exterior and interior of the White Buffalo Room are great for photos. 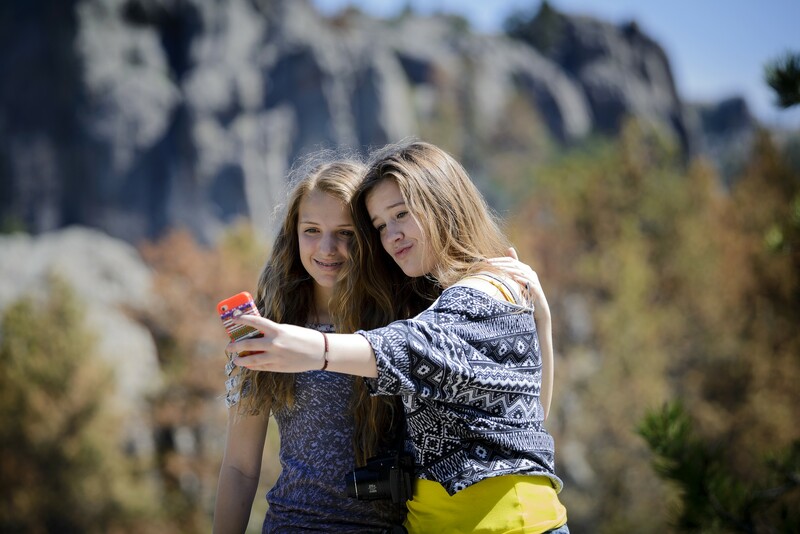 Couples pose above the valley. 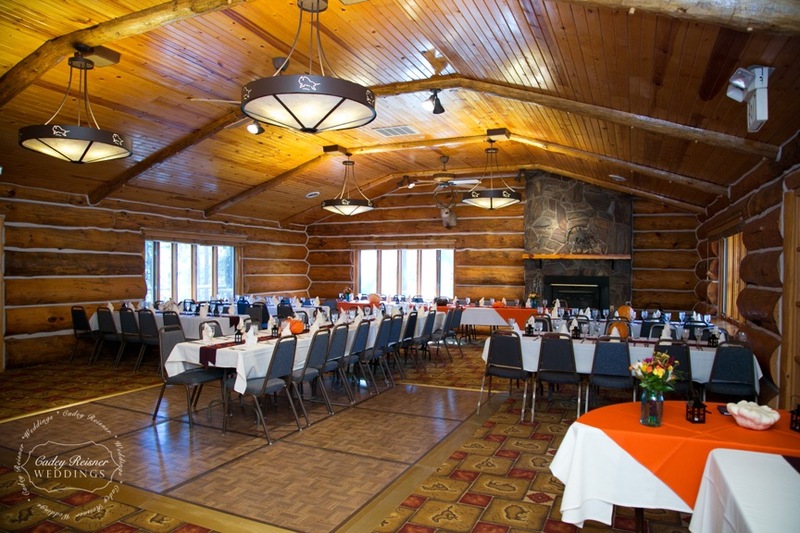 Hold your reception in the White Buffalo Room. 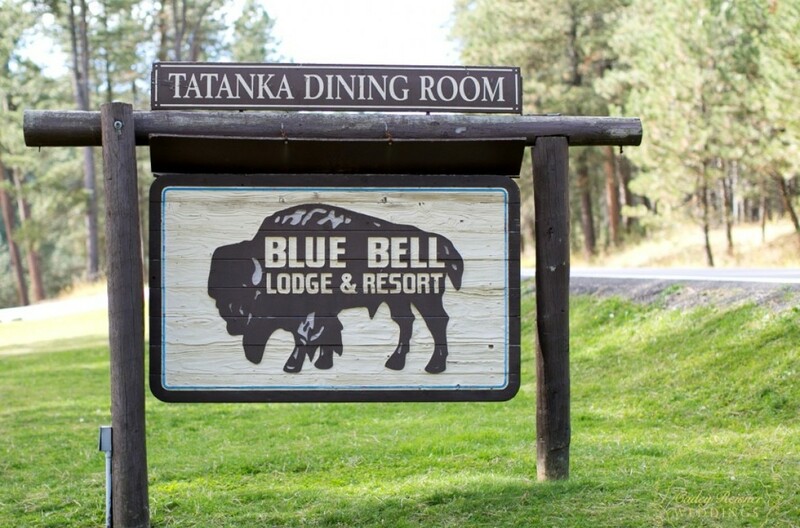 The White Buffalo Room signage.